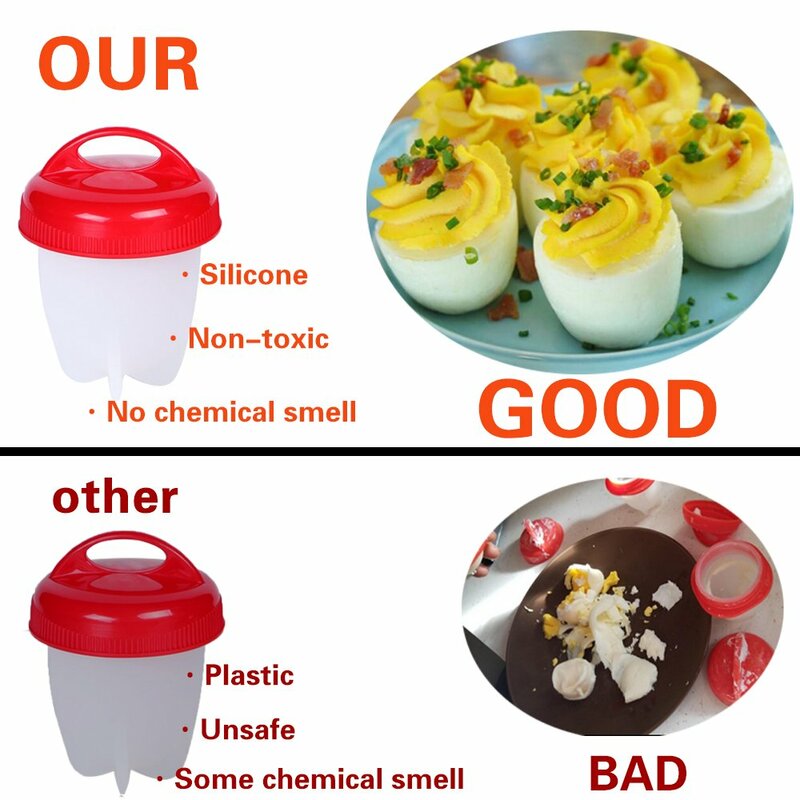 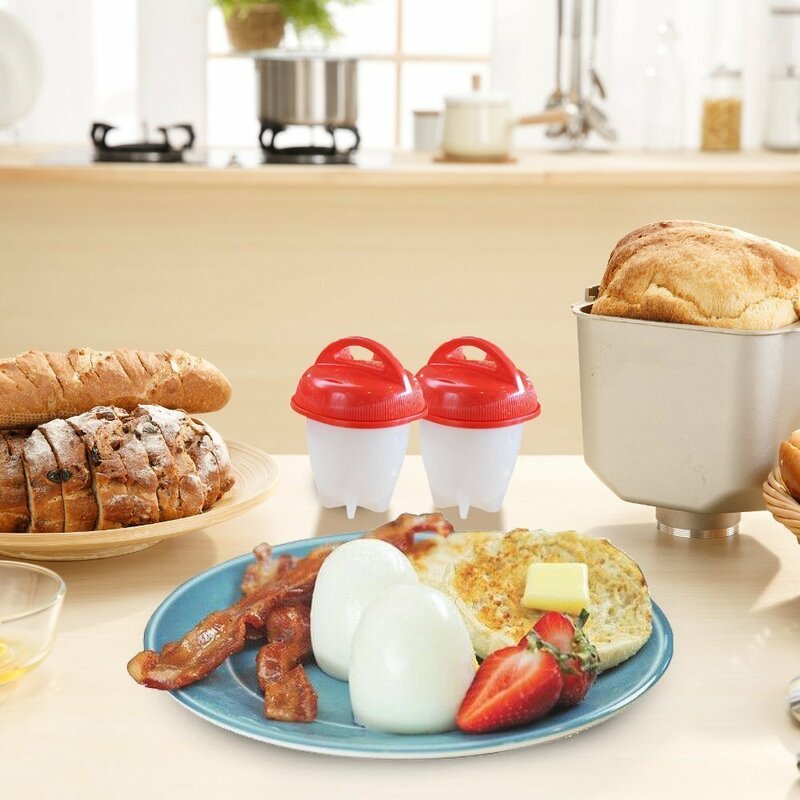 High Quality & Safety - Unlike another egg boiler, our boiled egg makers are made from high-quality food grade silicone and are FDA approved, No need to worry about the food safety. 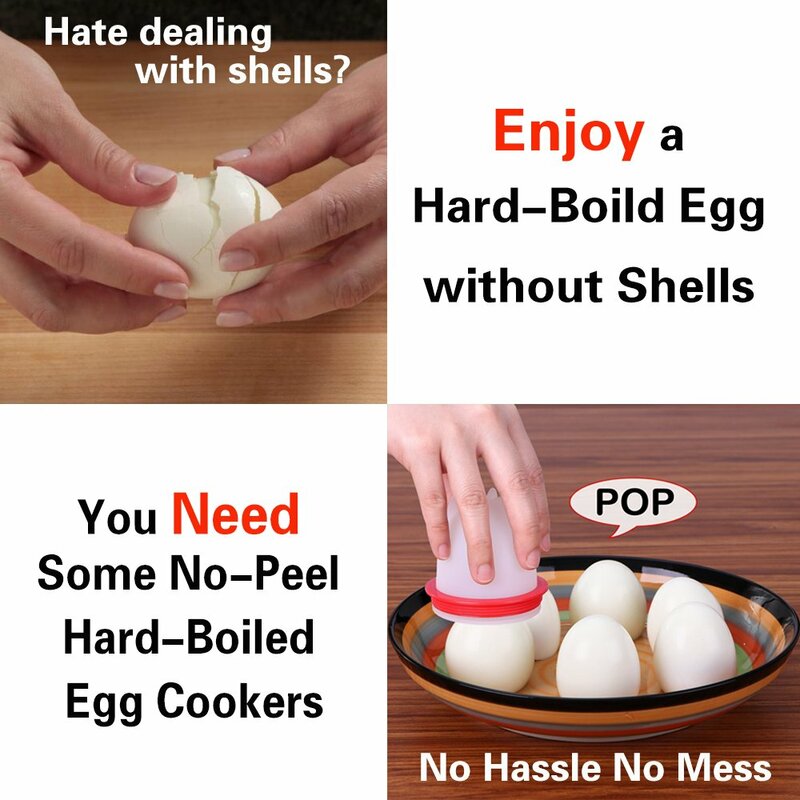 🇺🇸Very Easy to Use - Just 3 steps (Crack, boil and pop eggs out of the silicone pod) to make a hard-boiled egg without a shell. 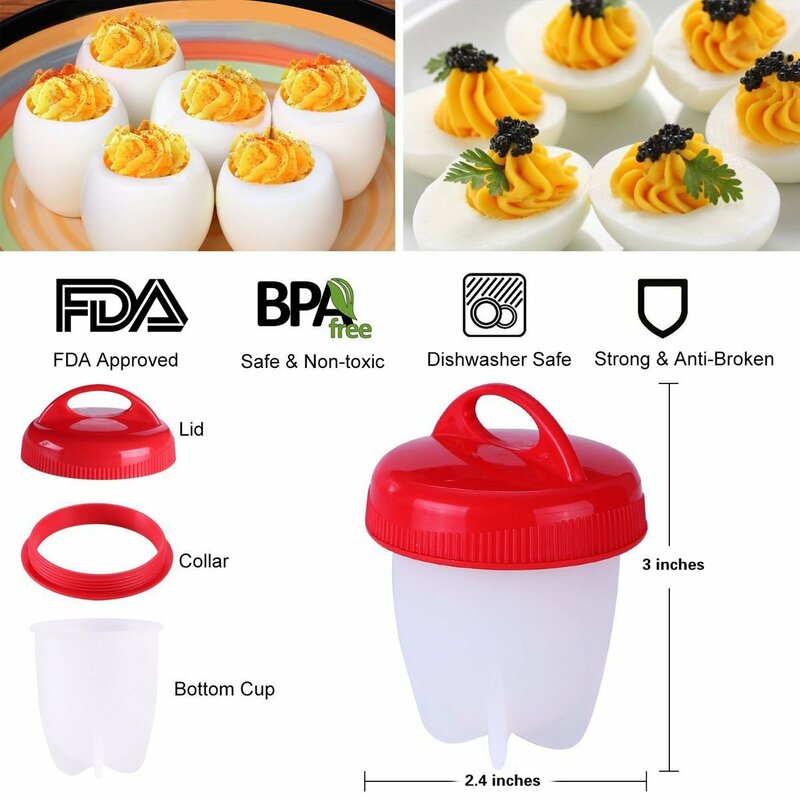 🇺🇸Dishwasher Safe and easy to clean! 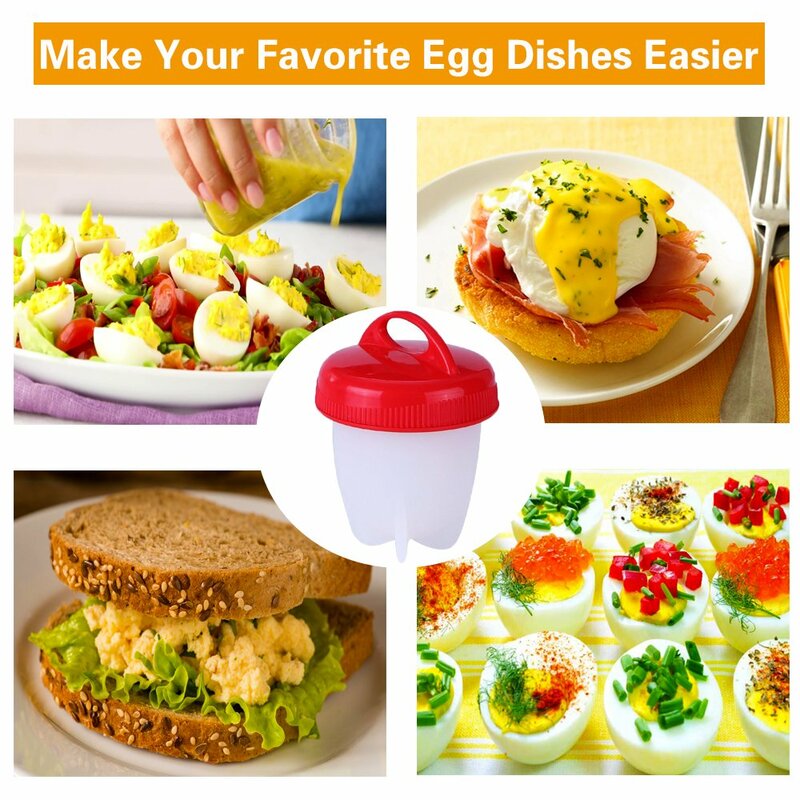 PLEASE BE NOTE: Egg maker are NOT INTENDED FOR USE IN THE MICROWAVE.